I have always been very curious about making fish balls. 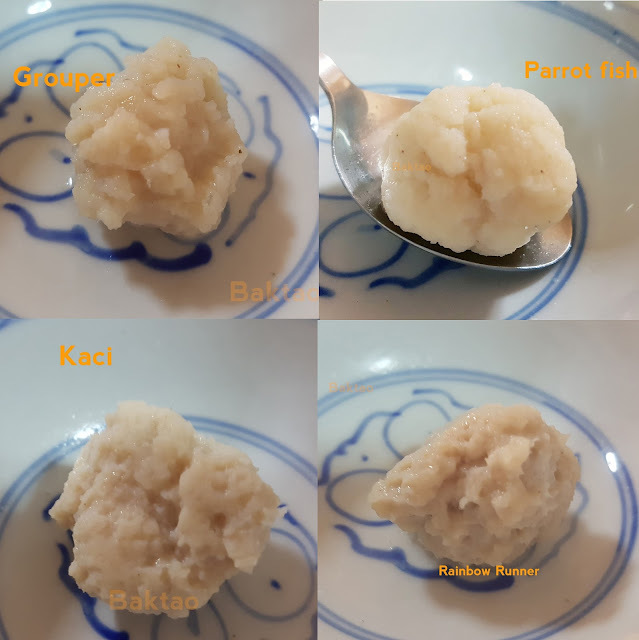 Being a fan of handmade fish balls, I often wondered what it was like to make your fish balls from scratch. As I googled different fish ball making recipes, it seemed that making fish balls weren't that complicated. It was just a little flour, salt and water. I was wrong. I thought that I was easy but the fish balls failed miserably, and they didn't turn out like they were supposed to. In hindsight, I was probably a little too ambitious. 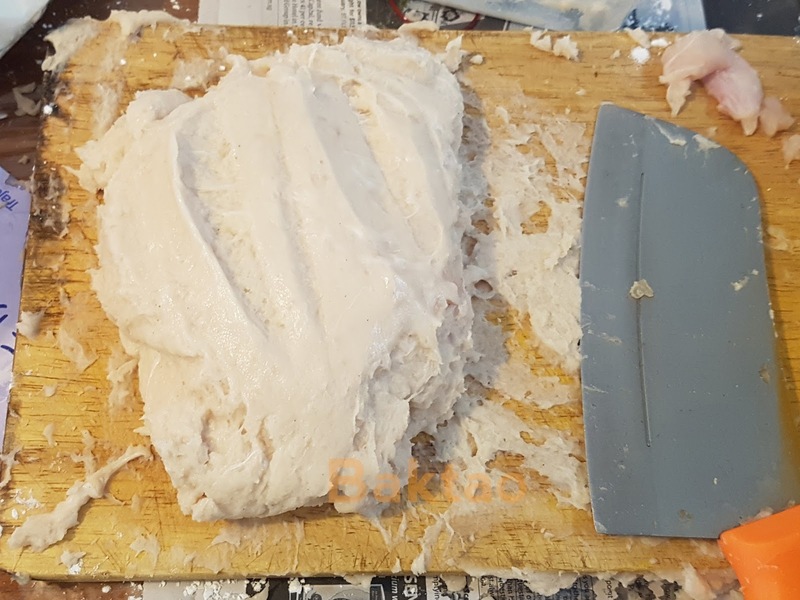 I had freshly caught ebek (diamond trevally), grouper, kaci (sweet lips), barracuda, eng ko (parrot fish) set aside for this project and by the end of the day, I was exhausted with too much meat to work with. The fish balls weren't springy enough due to not enough slamming as I underestimated the manual labour needed. It would certainly help if you had a food mixer or a horde of workers to help you throw the fish balls against the chopping boards! 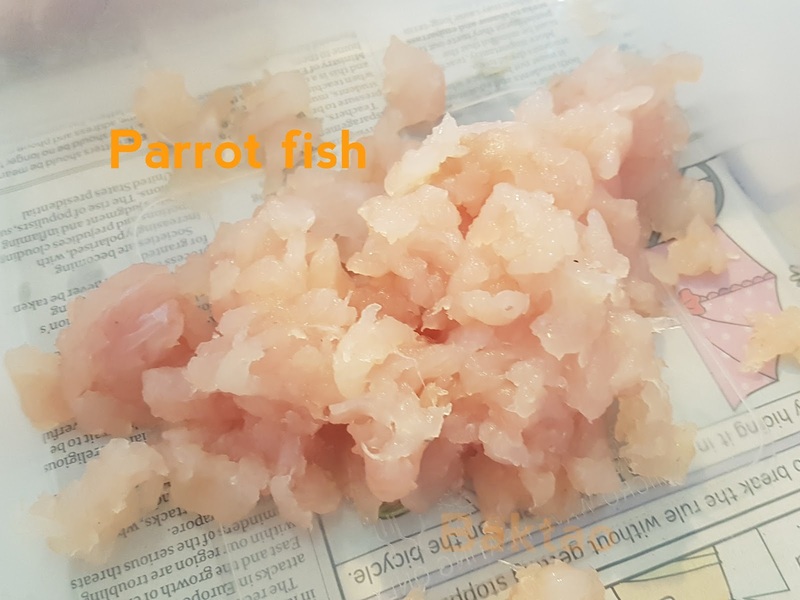 Still, not all was in vain, and although the end products were failures, I managed to ascertain the different texture and taste of the fishes that I used. I hope that this will be useful information for you. 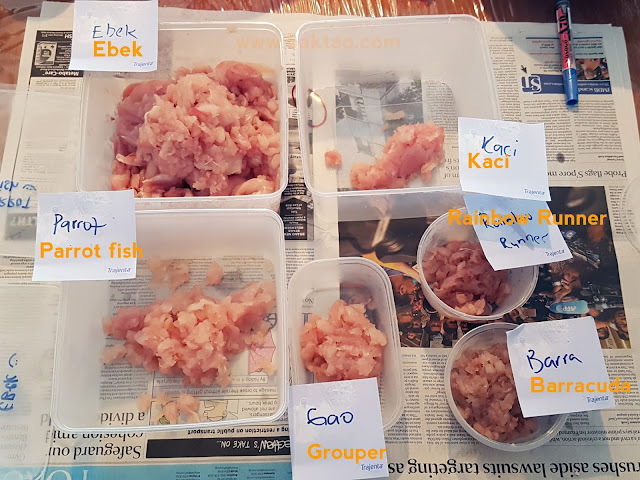 Preparing the different fish meat took so much time! Not worth it if you use small fishes! What failed fish balls look like. The balls were too mincy and not QQ enough due to not enough slamming. Also, probably too much flour. Have a food mixer or an army of fish ball makers. Don't underestimate the effort to make a few fish balls! If possible, bleed the fish during your fishing trip to keep the fish meat white and clean. Blood or dark coloured meat can stain the rest of the fish ball and make them look "dark". If you're using smaller fish, do have many of them to scrape the meat out and make a decent feed of fish balls. 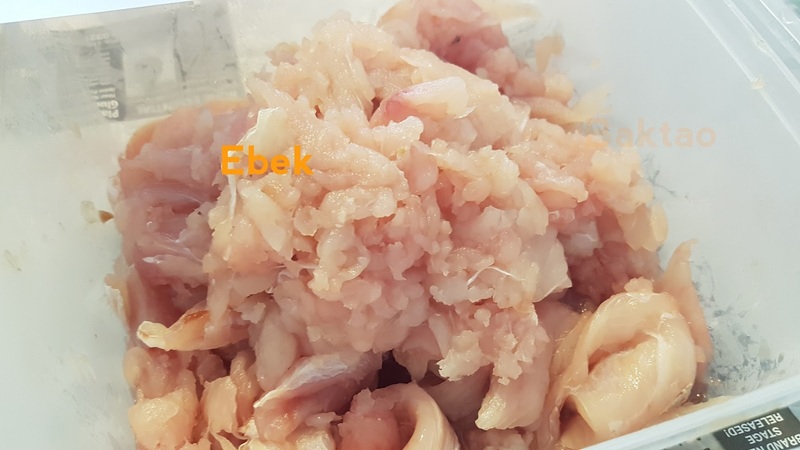 The large ebek yielded so much meat! 1) Ebek The texture was a little too mincy, and although there is much meat to be used for fish balls, the texture was too coarse. There was a slight fishy taste, but you can't tell if don't focus on it. 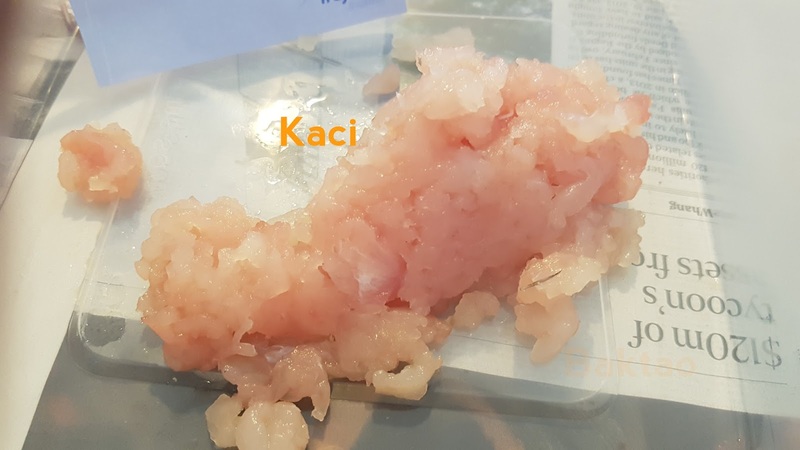 It took much effort to get the protein in the fish meat to get "sticky". Colour was a good white colour. 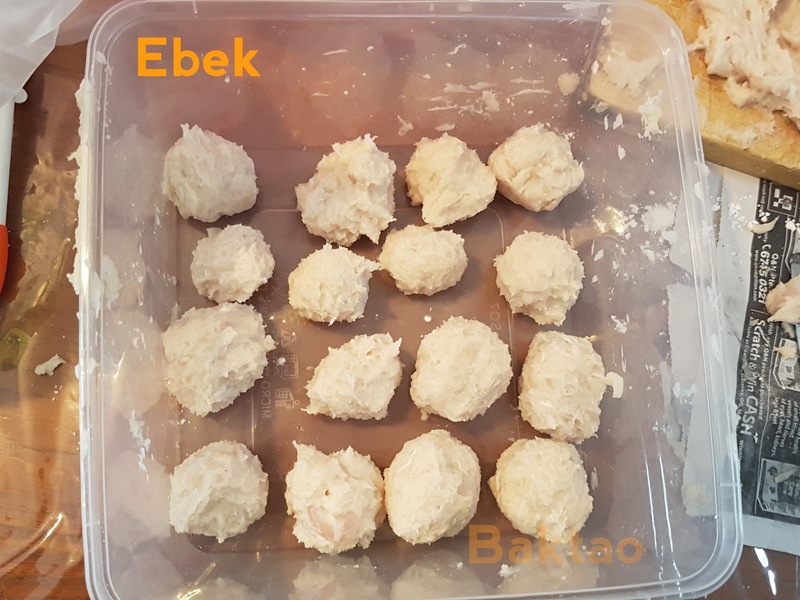 Might be better to use ebek for otah rather than fish balls. 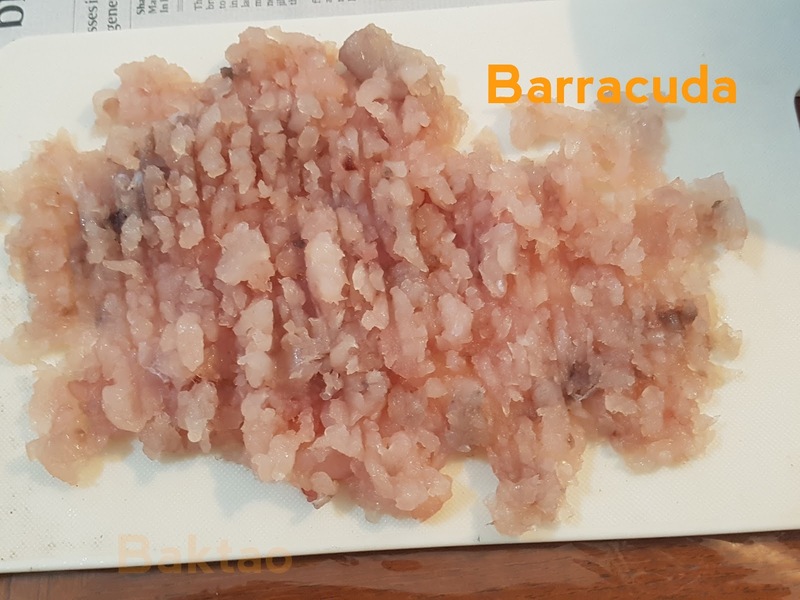 Notice that Barracuda meat is slightly darker? 2) Barracuda. These were surprisingly very bouncy, and the meat was not too bad. It got "sticky" rather easily too. The meat was surprisingly not fishy at all. 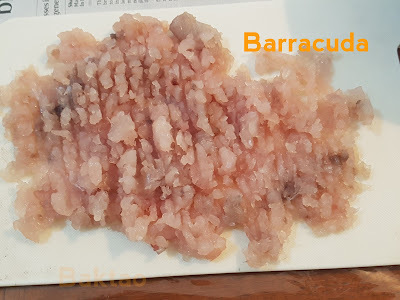 The only problems using barracuda was that the colour of the fish balls was a little dark and the fish didn't have much meat to scrape in the first place! White and sweet smelling flesh! 3) Eng Ko (Parrot fish). Eng Ko is your rich man's fish ball. I've already heard from Merchong King Chong that these fish make wonderful fish ball, but nothing prepared me for this! 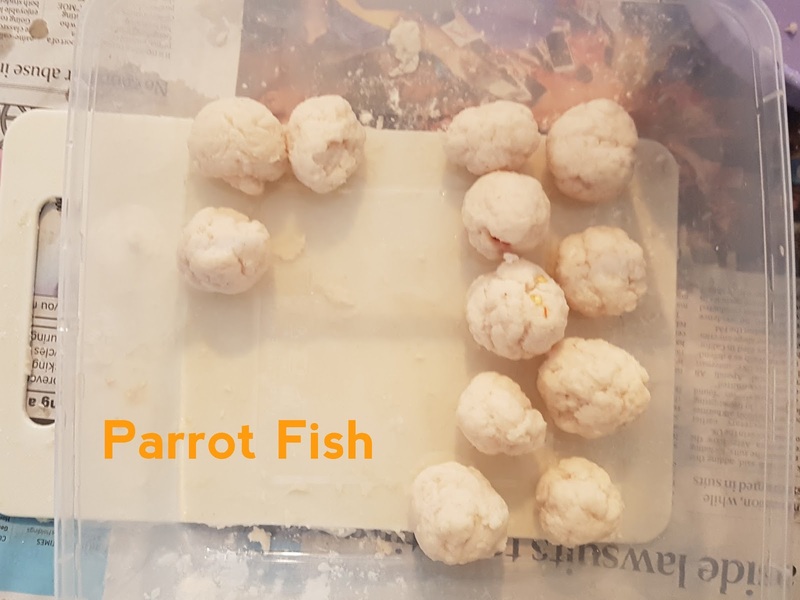 I screwed up the bouncy texture of the fish balls, but parrot fish balls were still very sweet and had a good texture. You can smell the meat's sweetness as you make the fish balls and the best thing was that the fish ball colour was a good pearl white. 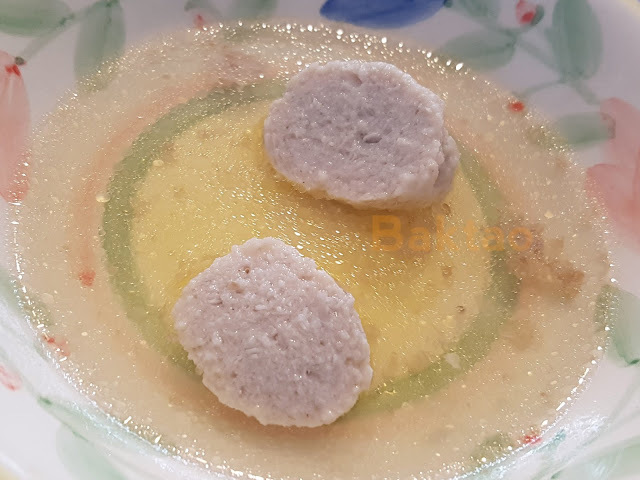 Definitely a good idea to make fish balls if you get sick of eating it the usual way. 4) Kaci. These were nothing special regarding flavour. I rank it under the Barracuda. The fish balls itself were kind of duh - nothing to talk about and pretty plain. No fishy smell, no sweetness. Kind of tasteless. Can skip if you are thinking of doing it. Better off for steamed fish! 5) Grouper. Grouper fish balls were not bad. You could taste the sweetness of the fish but there is also this "grouper" smell to the fish balls that was weird. Also, you have to choose really big groupers if you want more meat. 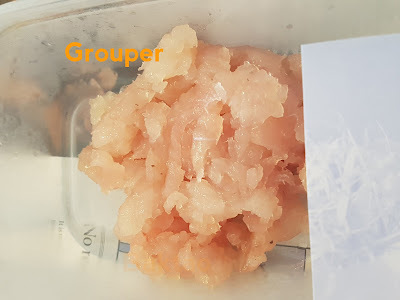 Using grouper (which is considered a premium fish) didn't really add or take away anything so I would suggest you keep it for steaming instead. 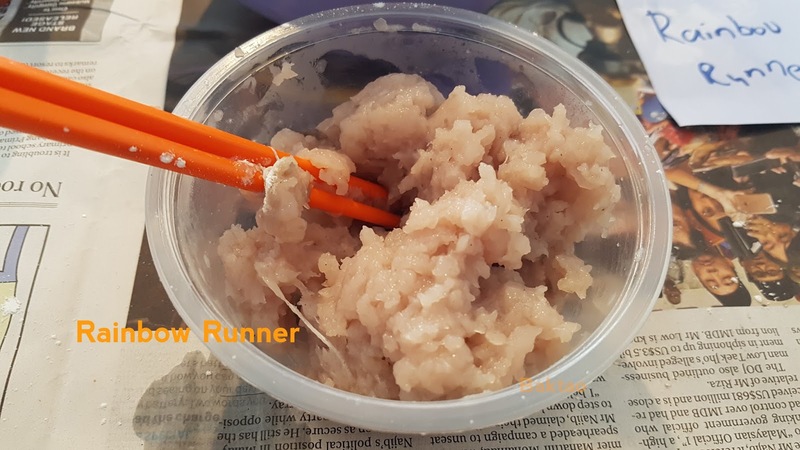 6) Rainbow Runner. I don't really remember anything special about this as I was already too tired. I've decided not to share the recipe here as I couldn't master it. You can google for some recipes. There are quite a lot of resources. This is not the end of my fish ball project for sure but I'll be back with a food mixer! Got any recipes to recommend or want to teach me? You can always contact me at this page.